I’ve been given a great opportunity to guest blog Gluten-free Tips for Restaurant Dining http://url.ie/e1nj via @trcrumbley http://tcrumbley.blogspot.com/ I hope you find educational. Good day to you. 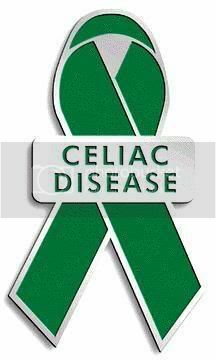 In light of recent inclement weather in the United States, I would like to focus your attention on disaster preparedness for celiacs in regard to food. Whether the potential disaster be a blizzard, a tornado, a hurricane, or an earthquake – the end problem is still the same. Celiacs will not have the same luxury of easily eating at a shelter as others do. Why? Because typical shelters do not have the budget or the resources to stock gluten-free items. While some shelters may have limited supplies, it’s just that – limited. Please reference the following link in regard to recommended supplies and shelf life of foods stored at 70 degrees Fahrenheit (21.1 degrees Celsius): http://www.nowheat.com/grfx/nowheat/y2k.htm. Additionally, purchase extra food at the grocery store you typically would use and store in the pantry or cupboard for a disaster. If you don’t buy a lot of groceries in this manner, it would be my suggestion to research gluten-free options for this type of storage and purchase such food for disaster preparedness. Once you purchase provisions and identify them as “disaster foods,” mark an expiration date on each food item with an adhesive label. If you are unable to determine what the expiration date is, I would recommend contacting the manufacturer. If you are contacting the manufacturer about confirming a product is gluten-free (and it is), go ahead and confirm the expiration in that same conversation. I hope this blog is received as it is intended – to educate; and not received as it could be – with fear or dread. That said, both ends will hopefully result in a positive means of action on your part. Good day to you! I first want to apologize for the dormancy of this blog. It is my intention to post consistent and informative gluten-free tips for you, the reader. You expect new material and I should provide it. That said, the Holidays crimped a lot of time from blogging. After the Holidays, I had technical issues and wasn’t able to manipulate the blogsite until now. Now that I’ve overcome the hurdles, I look forward to providing you with tips, education, insight, and recipes in regard to all gluten-free. I’m really excited about posting new blogs along with being in receipt of interaction from you, the reader. 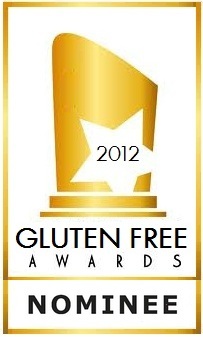 I appreciate your patience and look forward to building a relationship with you as we learn gluten-free tips together. If you have any ideas for blog postings, please feel free to contact me via Twitter at @GFDougie.